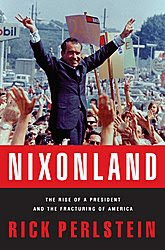 Nixonland: The Rise of a President and the Fracturing of America. Looks fascinating. Read Digby's story, then buy the book. I believed we had reached a new sort of cultural and political consensus: the culture was liberal even if our politics were conservative. It made me feel naively confident that the culture war was some sort of phony problem that would eventually right itself as soon as we could defeat these awful conservatives who were stoking these unnatural resentments. I was wrong about that. The culture war is real, not some sort of mistaken division created out of whole cloth by wily conservative politicians to gain office. Onion: You Know What's Stupid?